Vinyl siding is an excellent choice for Towson, Maryland, homeowners who want to improve both the curb appeal and energy efficiency of their homes. Roland Slate Service Company offers this and other great home improvement products to residents in the area, and with over two decades of industry experience, you can have confidence that we’ll get the job done right. What’s more, our vinyl siding comes backed by a comprehensive lifetime material warranty. What’s more, we stand behind the work of our talented installers by providing an additional one-year labor warranty, so you can have total peace of mind in your investment. 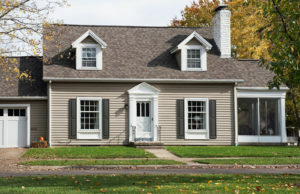 For more information on the vinyl siding that we offer, contact Roland Slate Service today and schedule a free consultation at your Towson, MD, home at your earliest convenience. When you do, be sure to ask about the financing options we offer to all qualified buyers.